Oregon, Washington, and British Columbia have a wealth of top-notch public gardens. In The Pacific Northwest Garden Tour veteran travel writer Donald Olson highlights sixty of the most outstanding options and provides all the information you need to make the most of your visit. This gorgeous and useful guide includes cherished public gardens and a handful of the most groundbreaking nurseries. 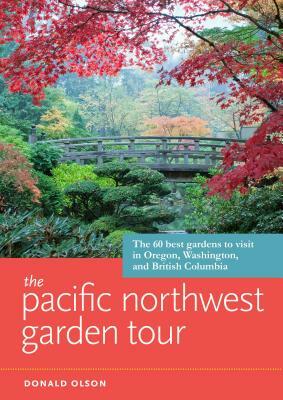 Packed with memorable stories and stunning photography, it is a fantastic garden tour that only the scenic Pacific Northwest can provide. Donald Olson is a travel writer, novelist, and playwright with a longtime interest in gardens and gardening. His work has appeared in the New York Times, National Geographic, and other national publications, and he is the author of several travel guides. An avid gardener himself, Olson has been exploring the great gardens of Europe and the Pacific Northwest for many years.You can visit his website at donaldstevenolson.com.